Today I am back and I´m bringing you a super fun and interesting #plannertag. It was created by Kayla from Microscope Beauty, and she has titled it the "Life in Planners Tag". She´s a pretty awesome person, and although I don´t actually know her o have ever chatted with her directly, just watching her videos on youtube and having seen her small business go pretty successful over the last year, you can tell she a very genuine hard working girl and pretty much anything she comes up with sounds amaze-balls to me! So back to the tag, this is a 10 question tag about your history with planners, how you used to plan, what you´re style was like and how it has evolved over time and basically getting to know the origin of your part in the planner world. What´s the oldest planner you have? Your first planner? How many planners do you keep for sentimental reasons? How many planners do you actively use at one time? Share what happened one week from an old planner. How many different styles and types of planners have you used? How has your planning style changed over time? Your favorite planner you´ve ever had? How long do you save your planners? Hoe do you see yourself planning in 10 years? What´s your favorite thing about planning? I actually managed to find ALL of my old planners which were stored away in boxes to be able to answer some of these questions. 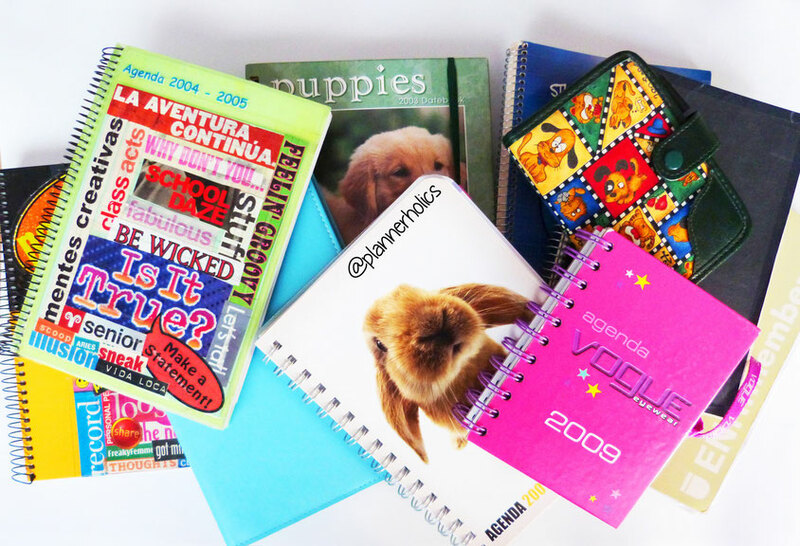 Can you believe I´ve been using planners since 1999? Yup, my little 12-year old self used a planner to write "important" stuff.... Most of them were school planners, and others were gifted, but all had a special place in my life and documented just about everything that happened to me in those years. 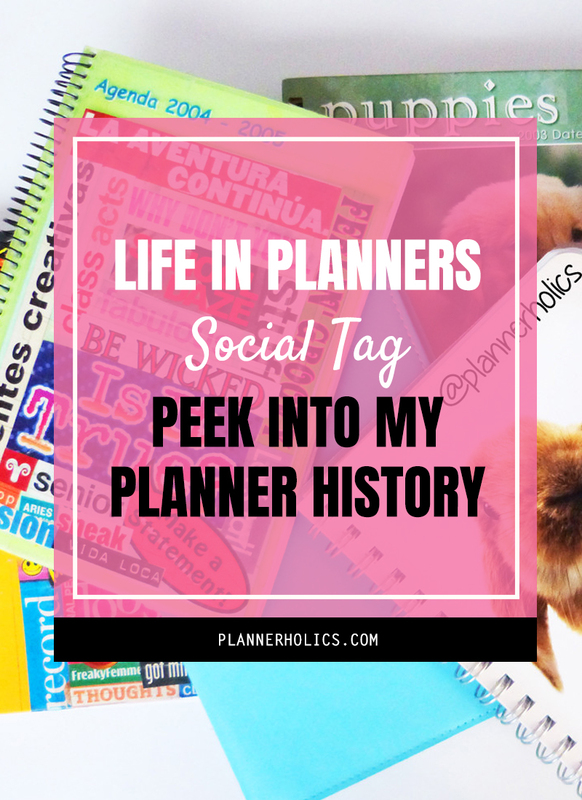 Anyway, it´s a great tag, because you will actually learn a few things about yourself and how you´ve evolved using planners as well as getting to know other fellow planner people like yourself. Check out my video below to see my personal answers.